Court Sets Aside Jury Verdict in New York City Train Platform Injury - Leandros A. Vrionedes, P.C. 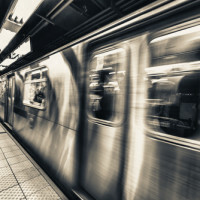 On December 4th, the Appellate Division of the Supreme Court of New York granted the New York Transit Authority’s motion to set aside a jury verdict which had earlier found the Authority 100% liable in negligence for causing a woman’s injuries on a train platform. In reviewing the record of the trial, the court apparently decided the jury should have believed the other side and substituted its own judgment for the jury’s. The plaintiff, who is described in the case as a large woman, was standing near the doors inside a crowded number 4 express train. When the train stopped at a station, the woman attempted to back out of the train and pivot to the right to allow passengers to exit, intending to re-board the train before it left the station. Her maneuver was unsuccessful, however, and the woman’s leg became wedged in a gap between the train and the platform. At trial, the jury declared the Transit Authority to be negligent in causing the accident and further found that the plaintiff herself was not negligent. The Transit Authority, which had been found 100% liable in the Bronx County court, filed a motion with the court to set aside the verdict. Although the judge refused to set aside the finding of the Authority’s liability, it did set aside the jury’s award and ordered a new trial on the issue of damages. The Transit Authority appealed this decision. In the case of Howell v. New York City Transit Authority, the Appellate Division unanimously modified the trial court’s decision and granted the defendant’s motion to set aside the verdict and dismiss the complaint. The judges reviewed the record and decided that the jury did not have any valid or rational basis for concluding that the Transit Authority was negligent. The court reasoned that a gap between train and platform is necessary for the train to run, and the plaintiff did not prove that the gap was unreasonably large, which would be more than six inches according to the Authority’s own policies. The court heeded the several witnesses testifying for the defense, including Transit Authority engineers and employees, but did not give any weight to the plaintiff’s own speculation about how wide the gap was. Despite the fact that the jury apparently believed the plaintiff over the defendant, the appellate division substituted its own judgment and dismissed the case in the defendant’s favor.